Sadly, David Cassidy has passed away at the age of 67. Cassidy died surrounded by his loved ones from organ failure. 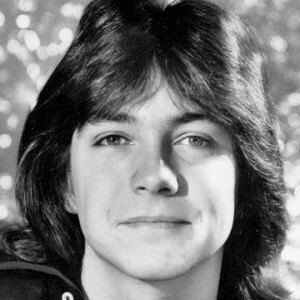 David Cassidy stared on the 70′s TV show ‘The Partridge Family’ as oldest brother Keith Partridge. Doesn’t that bring back memories of a day gone by. I can remember my older sister having his posters on her wall and a crush on him like every other girl of that day. May they both rest in peace. Caught up in all of the news vacuum from tragedy from Las Vegas, music legend Tom Petty of Tom Petty and the Heatbreakers has passed away at the age of 66 on Monday evening. 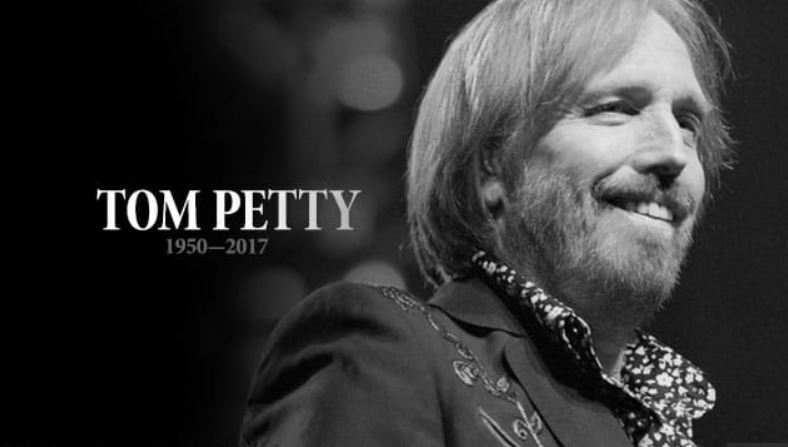 According to accounts, Petty suffered a cardiac arrest at his home in Malibu, CA and was taken to UCLA Medical Center but could not be revived. Petty died peacefully at 8:40pm PT surrounded by family, his bandmates and friends. He will be so missed. Tom Petty’s music was simply amazing and so many of his songs were a part of the mosaic of my life. On a personal level this death truly does hurt, his music was phenomenal, meaningful and spoke to so many. I remember the events in my like by his songs and there were so many. I can’t even begin to think which one of his many songs were my favorite as the list is endless of American Girl, Don’t Do Me Like That, Here Comes My Girl, The Waiting, Learning to Fly, Free Falling, Dont Come Around Here No More, Refugee, You Got Lucky, I Won’t Back Down, Into the Great Wide Open, You Don’t Know How It Feels, Mary Jane’s Last Dance, Running Down a Dream and so many more. My heart does break today, I say a prayer for his family, friends and his fans that loved him so much. Rest in Peace Tom Petty. Good bye for now, your music will live on with all of us. Tom Petty, whose Florida-bred quintet the Heartbreakers was one of the defining arena-rock acts of the 1970s with hits like “Breakdown,” died of a heart attack on Monday evening, the longtime manager of Tom Petty and the Heartbreakers confirmed. He was 66. Police responded to his home at 10:50 p.m. Sunday night and he was transferred to UCLA-Santa Monica Medical Center, where he was on life support. In 2002, Petty and the Heartbreakers were inducted into the Rock and Roll Hall of Fame. Petty was awarded UCLA’s George and Ira Gershwin Award for lifetime achievement in 1996. He was born Oct. 20, 1950, in Gainesville, Fla. A poor student, he caught the rock ‘n’ roll bug after he was introduced by his uncle to Elvis Presley, who was shooting the picture “Follow That Dream” on location in nearby Ocala. Like many other boyish rock aspirants, he began working on music in earnest after witnessing the Beatles on “The Ed Sullivan Show” in February 1964. But before the decade was up, Petty found himself bankrupt after the record label MCA attempted to buy out his contract from ABC Records, which distributed Petty’s original label. It took nine months of litigation for Petty to secure a new deal so he could release the biggest record of his career, 1979′s Damn the Torpedoes, which reached Number Two on the album chart and has since been certified triple-platinum. The album contained the singles “Don’t Do Me Like That” and “Refugee,” establishing him as a full-fledged hitmaker. Chuck Berry, one of the pioneer’s and icons of Rock n’ Roll music has passed away at the age of 90. The music legend was best known for “Johnny B. Goode,” “Roll Over Beethoven,” “Maybellene” and “My Ding-a-Ling” to name just a few. In 1986 Chuck Berry became one of the first inductees into the Rock and Roll Hall of Fame and in 1985 he also received a Grammy Lifetime Achievement Award. However, better than words to describe Chuck Berry, it is better to just play his music. Mr. Berry was already well past his teens when he wrote mid-1950s manifestoes like “Roll Over Beethoven,” “Rock and Roll Music” and “School Day.” Born Charles Edward Anderson Berry on Oct. 18, 1926, in St. Louis, he grew up in a segregated, middle-class neighborhood there, soaking up gospel, blues, and rhythm and blues, along with some country music. He spent three years in reform school after a spree of car thefts and armed robbery. He received a degree in hairdressing and cosmetology and worked for a time as a beautician; he married Themetta Suggs in 1948 and started a family. She survives him, as do four children: Ingrid Berry, Melody Eskridge, Aloha Isa Leigh Berry and Charles Berry Jr.
By the early 1950s, he was playing guitar and singing blues, pop standards and an occasional country tune with local combos. Shortly after joining Sir John’s Trio, led by the pianist Johnnie Johnson, he reshaped the group’s music and took it over. We sadly lost too many of those that we grew up with idolizing in sports, movies, music and entertainment in 2016. Honestly, I cannot remember a year that more people from my childhood were lost. From music icons like David Bowie, Prince, Glenn Frey and Merle Haggard, to sports giants like Muhammad Ali, Arnold Palmer and Mr. Hockey, Gordie Howe, to all too many actors, actresses and celebrities that we grew up with like Florence Henderson, Dan Haggerty, Carrie Fisher, Alan Thicke to the voice of baseball when I was a kid, Joe Garagiola . We lost former First lady Nancy Reagan and Supreme Court Justice Antonin Scalia. We lost the greatest female basketball coach Pat Summit. And we lost an American hero, John Glenn.